Parking garage concrete deterioration is caused by many factors and can require costly remediation if left untreated. Parked cars leave behind salt and water that pool together, eventually causing dips or cracks in the concrete. Emissions left trapped in the garage can also settle into the concrete slab, interfering with the chemical makeup of the aggregates, causing cracks and allowing water to seep in between and creating more damage. Water seepage also corrodes rebar, eventually compromising the structural integrity of the parking deck, due to the expansive nature of rust. Older concrete parking garages are particularly vulnerable to deterioration and if left untreated can change from a small repair to a total parking deck re-build. CDC uses industry-leading repair and resurfacing methods, restoring and protecting against future deterioration. Plan and implement traffic diversion; closing off areas and setting up stop lights. Surface preparation – Grind the area where necessary. Fill and patch cracks in surface and areas around drains. P-802- FC Fast Cure, Low VOC Coating Base Coat. 804 FC Fast Cure, Low VOC Coating Intermediate Coat and Non-UV Top Coat / Polyisocyanate Mixture. 806 – FC Fast Cure, Low VOC Coating UV Top Coat. Work is performed under advisement and supervision of engineer and manufacturer representative to check the work and proper procedures. Resurfacing a pool floor is a major undertaking, but necessary; over time the continuous pressure and contact of water will wear down the membrane and the concrete will yield to seepage and eventually crack. The ceiling underneath the pool is usually the first place damage will begin to show. At CDC we have experience with all types of pool surfaces and can help identify when and where problems are starting, then repair before it becomes a bigger problem. We will then ensure the requisite specialty surface treatments are applied properly for many more years of worry-free use. The team at CDC’s Surface Treatment division knows which job requires which methods and which tools. 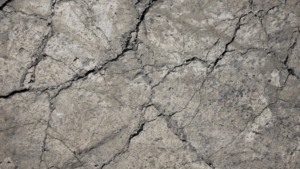 We use several crack repair techniques to get the job done right. Filling: Clean the cracks by removing contaminants that will prevent bonding, then injection-fill with specialty resin. Seal Surfaces: Prevent other new contaminants from interfering with bond. Test For Leaks: Ensure the patch is water- and air-tight and pressure test. Clean Up & Return To Use: Leave the job site with a warranty in place for workmanship. Canadian Design and Construction Inc. offers a 5 year warranty on surface treatment work done on the premises, provided that regular annual maintenance of the system is performed either by CDC technicians or qualified industry technicians. 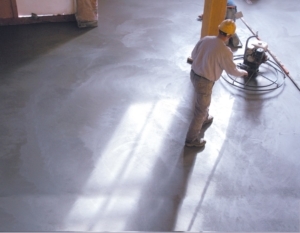 One of our other specialties at CDC is surface treatment of concrete flooring indoors and out.